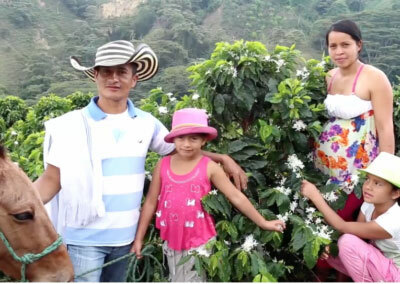 Among the highlands of the municipality of Tarqui, Huila, you find a group of farms owned by ten siblings, the Guarnizo Family. They are composed of nine males and Orfandy, the only female and the heart of the family. 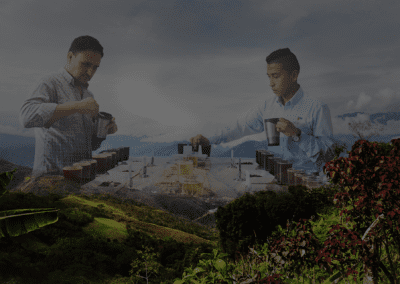 Each member of the family has its own farm, with their own families, some of them are neighbors, creating a village of just the family, and some of them lie on more remote areas of the municipality, but the nine of them have the same objective, produce some of the best coffee of Tarqui. The Guarnizo Family has always been an example of family work, union, and partnership. 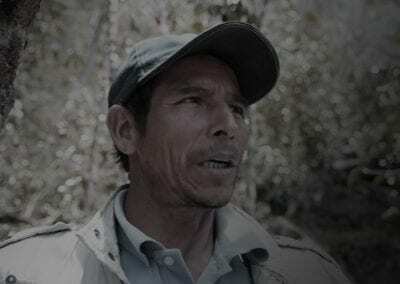 Wilmar, one of the Guarnizo brothers, inherited farm La Vega from his father in 2002 with not even one coffee tree in the land. 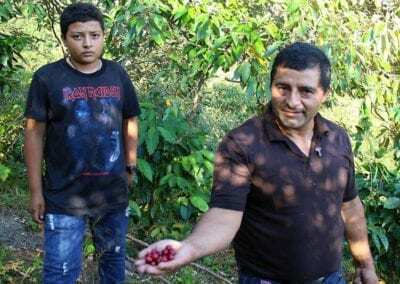 At that time, some of his brothers were already growing coffee, so he took advantage of the experience and ‘know how’ that his family had, to start growing his very first coffee trees on his own. Today, coffee is the main source of income of all ten of them. 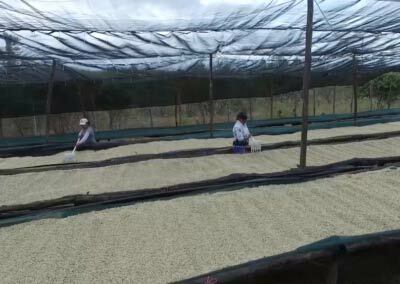 The Guarnizo Family used to sell their coffee to the cooperative that would pay the best price at that moment. 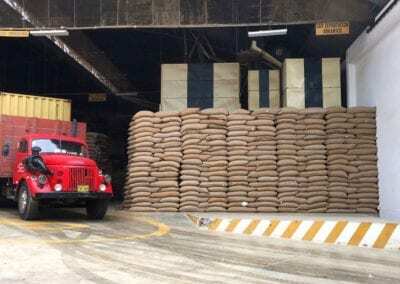 They used to travel with their coffee from cooperative to cooperative and from municipality to municipality, to see who to sell their coffee to. 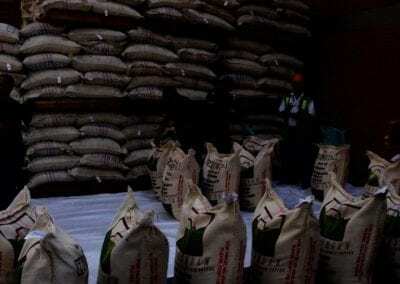 Sometimes, they even decided to wait for months with their coffee stored at the farms, waiting for the international market price to raise, so they could sell the coffee in a fair price for them. 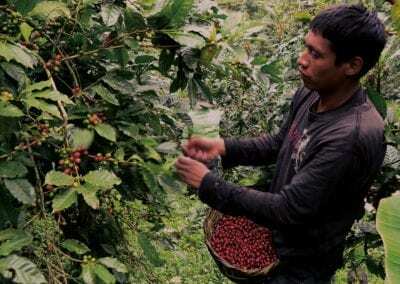 One day, they decided to become members of the Organización ASOPROCAFÉ EL PARAISO, one of the cooperatives in charge of commercializing coffee in Tarqui, in search of better opportunities, better prices, and to see if someday they could meet one exporter who could pay higher prices. 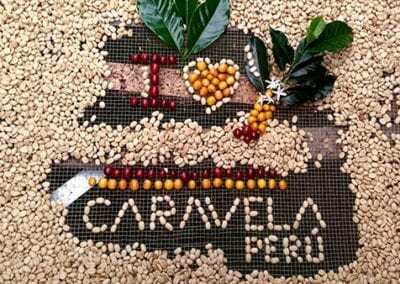 This was when Wilmar Guarnizo met Caravela Coffee. 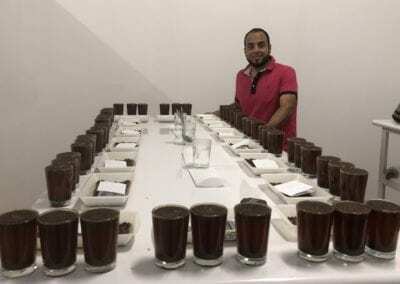 He told his brothers that he might have found the place to sell their coffee, but it had to be specialty coffee, which they were not sure if their product qualified in this category. 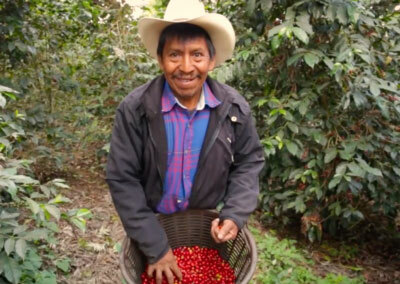 In Caravela, we noticed not only that their coffee had high potential, but we find a beautiful family business where every single brother was willing to help the rest, they were moved by the same interests. When we first visit the Guarnizo Family, we encountered ourselves with a series of problems. 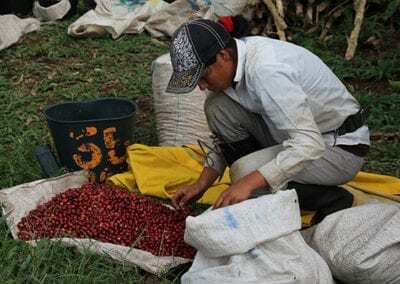 They were very disorganized, they were not keeping record of fermentation times, nor drying times and they were picking all the cherries, not caring of the ripeness level. Their processes weren’t standardized; therefore, there was no consistency. Sometimes, they delivered amazing coffee, and sometimes the coffee wasn’t that good. 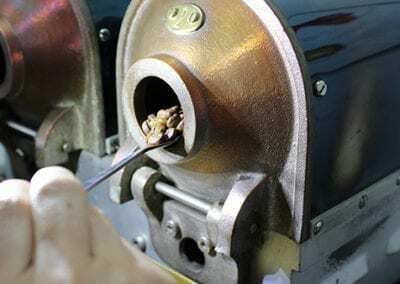 We couldn’t understand why, until we visit them and noticed that they had no consistency on their processes. 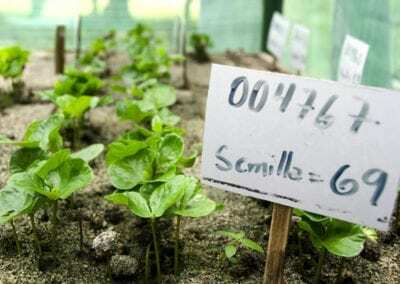 They had all the traditional varieties that facilitate the production of specialty coffee, but they didn’t know what to do with them, they didn’t have the right processes. Wilmar is the pilot of the whole family; he took the role of a leader; he guides and educated all his brothers in the processes. They sometimes even share their fermentation and drying stations with each other. “We are ten siblings. 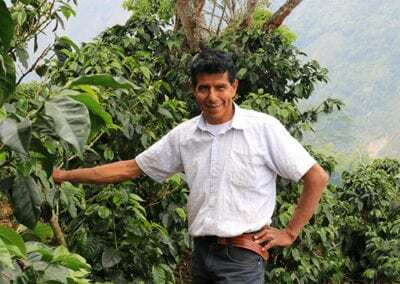 When there is still few coffee in trees, at the beginning or the end of the harvest, we all go to each other’s farms and help in the picking and post-harvest processes,” says Wilmar. 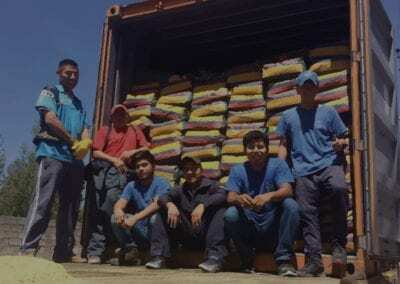 The Guarnizo Family is an example of union; they show that teamwork makes anything possible. In Wilmar’s home, everyone is involved. 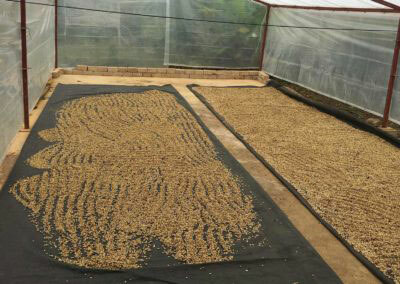 His wife Tania and his daughter take care of the fermentation, hand-sorting and selection of cherries, and of the drying stations, while Wilmar, with the help of his brothers, take care of the coffee trees, growing new varietals, and conservations of forests. 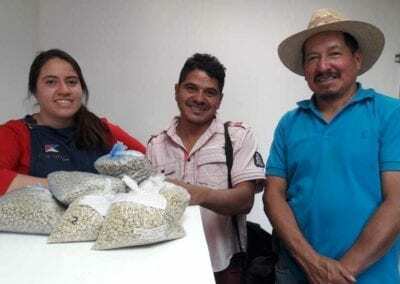 Wilmar, Jose Javier and Yimi even like to roast their coffee and try it before taking it to the warehouse as they already know something about cupping and recognizing good characteristics in coffee. 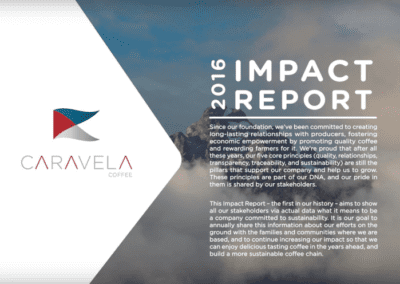 In the last 5 years, the volumes delivered by the Guarnizo Family to Caravela has increased in 193%. Today, the family not only has more land than five years ago, but they are more productive and efficient. 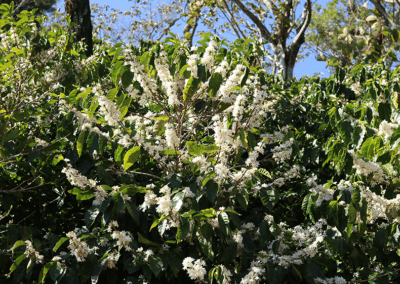 Today, they know how to take better care of their coffee trees, protect them from pest and diseases in a proper and sustainable way. 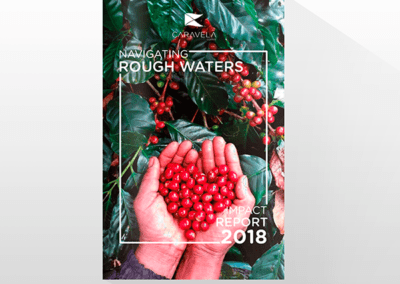 In fact, some of them even received the Rainforest Alliance Certification last year thanks to their commitment and responsibility to the environment. Wilmar and his brothers have a very special characteristic; they are very good observers. They always identify problems and improvement opportunities in their farms. When we go to their farms, we always find new strategies and things they do to improve their quality and be responsible with the environment. The Caravela team is always learning from the Guarnizo Family! 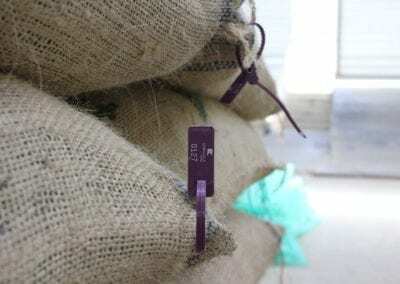 58% of the coffee delivered in 2017 by the Guarnizo Family was bought as AA or above. 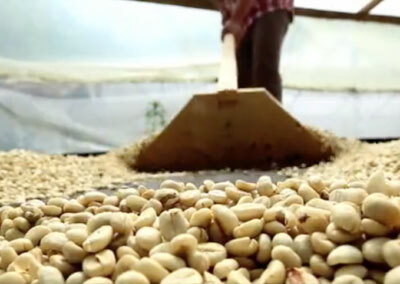 In the last five years, the AA and above coffee delivered by the family has increased in 111%. 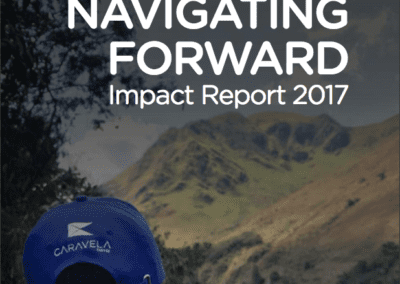 Regarding prices, in 2012, when the Guarnizo Family were starting to work with Caravela, they received, on average, farm-gate prices 33% above the “C” market. In 2017, they received farm-gate prices 46% above the “C” market. We are very proud of how we have worked towards maintaining this relationship and to see how, three years later, this relationship is still fruitful. 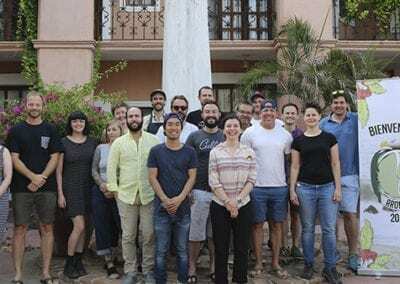 “Caravela has done tremendous work to facilitate and maintain this relationship by always giving us first look at microlots and being facilitators of the contracts between us and the Guarnizos. 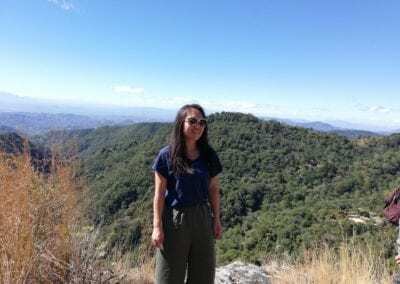 In 2014, when I visited the family for the first time, we were having breakfast before driving up the mountain and I had an idea to have a fixed price contract so we “could all close our laptops and stop watching the market and do our jobs, growing coffee and roasting coffee”. Most of the brothers were present and they agreed that it would be good to have a good, stable price. Caravela was integral in hammering out the details of the contract, gauging the necessary quality and quantities for the contracts. 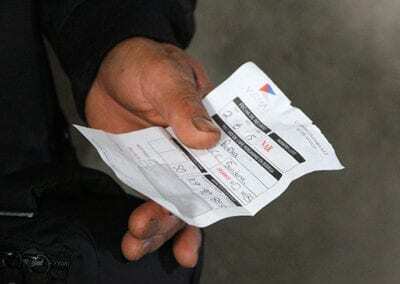 The whole system has worked beautifully”.